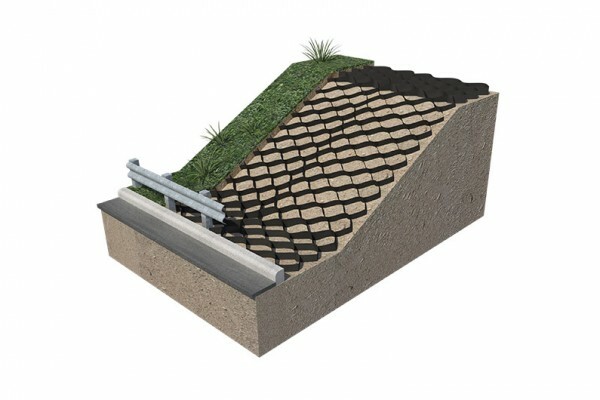 Techcell is a multifunctional system which can not only offer stabilisation benefits – in for example no dig tree root protection layers – but also soil erosion protection on slopes and reinforcement benefits in earth retaining structures and embankments. 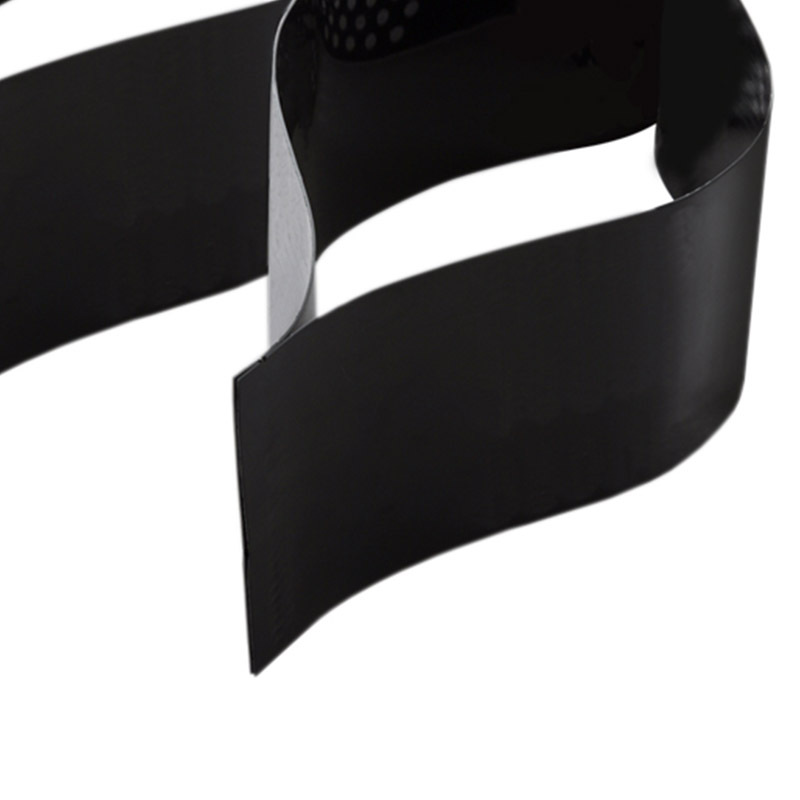 HDPE strips are welded together at intervals to create a network of cells which is then expanded on site. 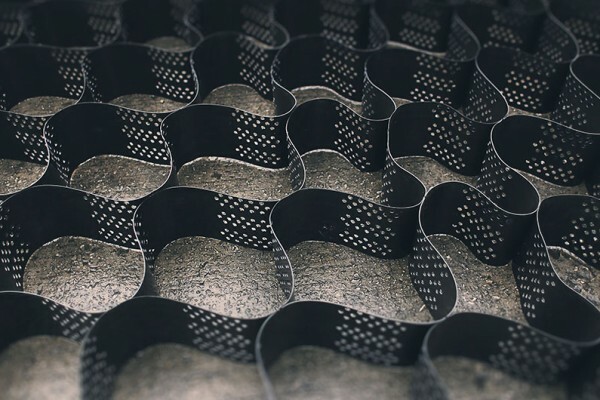 When these cells are infilled with appropriate materials to suit the site conditions and desired application, a new composite entity is created from the cell soil interactions creating a flexible 3D cellular mattress or slab. Techcell is available in a range of mattress thicknesses from 75mm to 200mm. 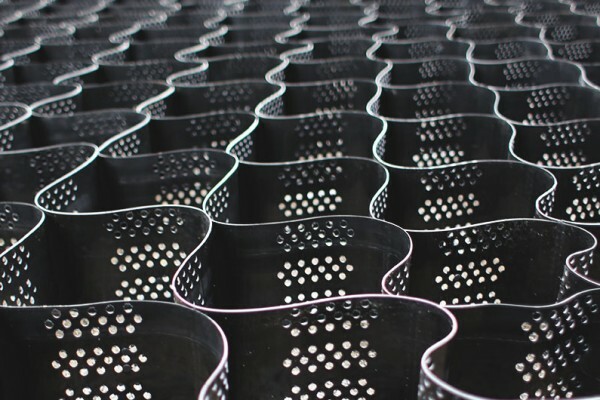 Techcell can be stacked and filled to effectively form gravity retaining structures which are internally reinforced via the Techcell system. These systems are very simple to construct and can easily accommodate pockets of growing media for later vegetation at the front face. 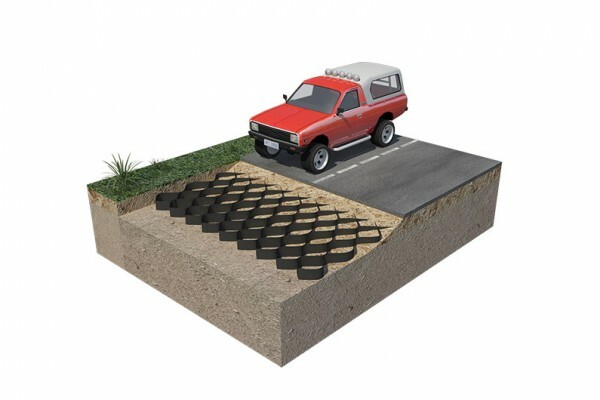 Techcell can be laid and pinned on slopes to provide veneer stability and allow topsoil or other fills to be retained on slopes that would otherwise be prone to erosion or slumping. 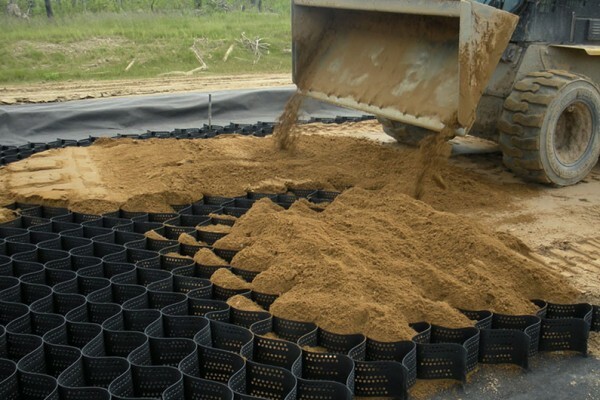 Typically the cells are filled with topsoil to encourage vegetation and consequent erosion protection providing an interconnecting mattress of stable pockets of relatively deep growing media. 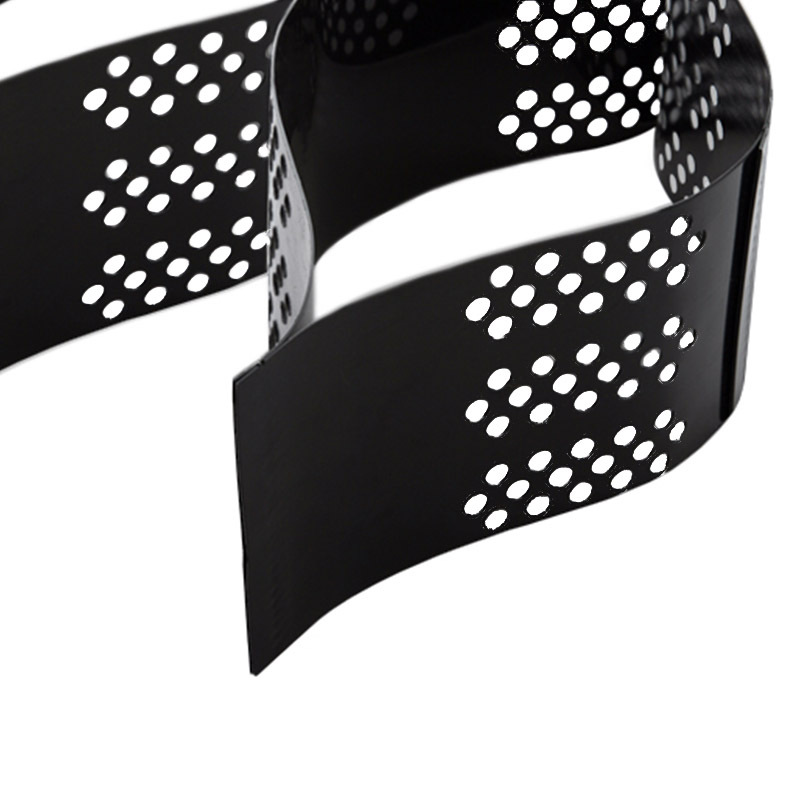 For stabilisation Techcell uses the soil confinement mechanism to laterally restrain infill and can thereby provide load support. 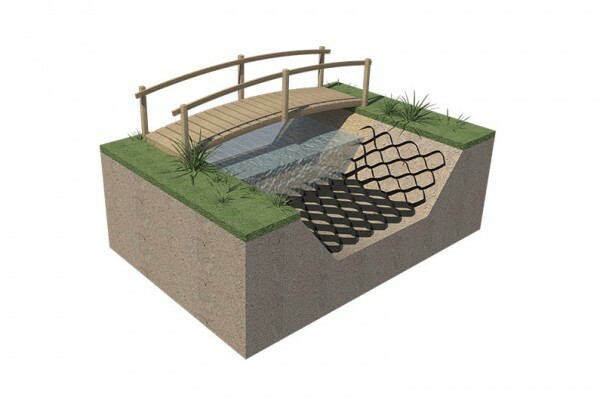 The cellular structure confines and reduces the lateral movement of infill particles, and forms a stiffened mattress or slab that distributes loads over a wider area. 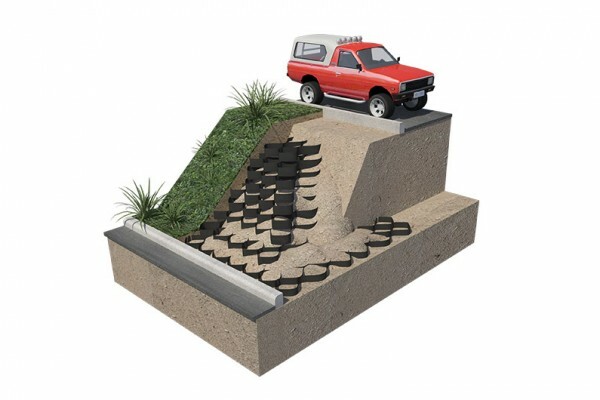 Once filled, it provides a stable surface for both pedestrian and trafficked areas such as driveways, paths, car parks, golf courses and embankments. 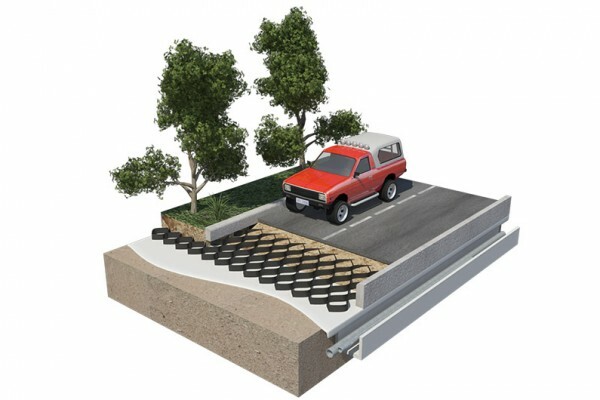 Alternatively a more formal surfacing can be installed above eg Block Paviours, Techpave grass / gravel paviours or asphalt. 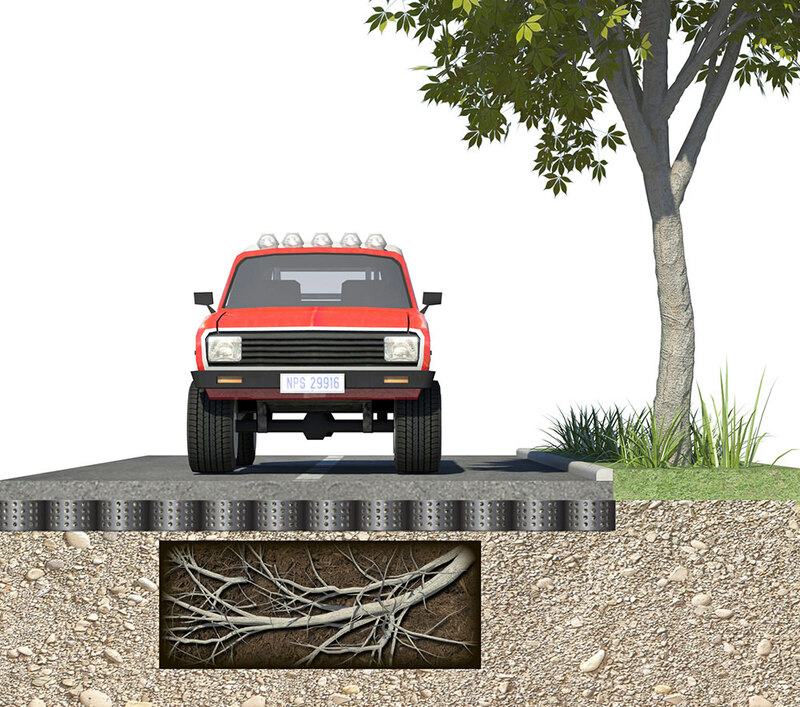 Using Techcell in tree root protection applications can offer a ‘no dig’ solution to provide a stiffer stabilised near surface layer capable of carrying traffic. 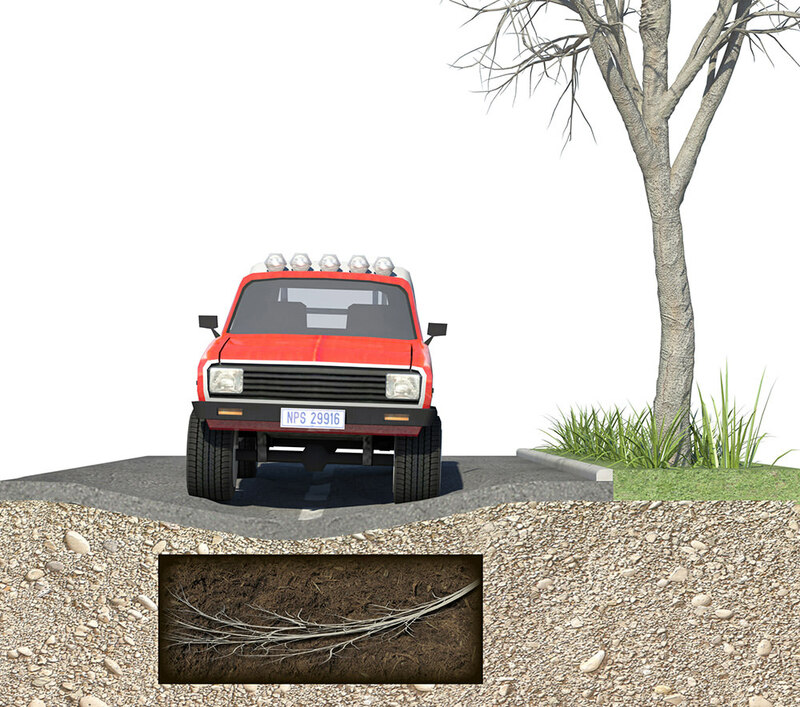 This layer spreads the trafficking load which reduces the pressure on the tree root zone and inhibits compaction of the soil and damage to the roots. The use of appropriate granular infill in the Techcell allows water to percolate down to reach the roots below and the ‘protected’ soil in the root zone similarly remains open enough to encourage healthy root growth. The result is higher bearing capacity even from inferior fill material, reduction of structural layer thickness and long term durability.